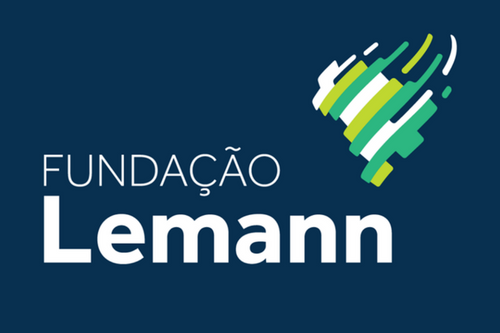 October 20, 2017, UCLA International Institute - The UCLA Center for Brazilian Studies is proud to announce the award of 6 Lemann Fellows for the 2017-18 academic year. Clara Bois is originally from Belo Horizonte, Brazil, and holds a BA and a MA in Architecture and Urbanism from the Federal University of Minas Gerais (UFMG). Clara has experience in affordable housing planning with focus on projects of urbanization and land regularization of precarious settlements. More recently, she has focused her work on understanding and improving mechanisms of citizen participation - such as participatory budgeting processes and policy-making councils - so they can be more inclusive, equitable and effective. In her master thesis, Clara will investigate how the resistance of housing movements in downtown São Paulo has helped to shape the housing policy debate in the city. Vitor Coelho grew up in Brasilia-DF, Brazil. He has been focusing his studies on new technologies which will impact the society and change the model of how many companies operate today. He is also involved in social entrepreneurship projects, being the UCLA Ambassador at B-abroad, an organization which aims to help Brazilians to access a global education. Vitor earned his undergraduate degree from Universidade Federal de Santa Catarina (UFSC) in Control and Automation Engineering, and worked for six years in the energy sector in Brazil. Alexandre Duarte is originally from São Paulo, Brazil. He has a B.A. in International Affairs from Pontifícia Universidade Católica de São Paulo (PUC-SP) and a post-graduate degree in Urban Planning/Public Policies from (Universidade Federal do Rio de Janeiro (UFRJ). He is a member of the 2015 Young Leaders program from RAPS. Alexandre strongly believes that social development can happen through innovative collaboration between the private and the public sector. Sérgio Roberto Guedes Reis is from São Paulo, Brazil. Prior to coming to UCLA, he earned a M.A. of Public Policy from EAESP/FGV and a Bachelor in International Relations from University of São Paulo. Over the last five years, he has worked as a Federal Auditor at the Ministry of Transparency in Brazil. During this period, he was one the recipients of the Federal Budget Secretariat annual award for his article proposing a planning method for formulating public policies based on the Open Government principles. Currently, he is interested in understanding the roots of corruption in Brazil, and how this issue may be related to other fundamental social problems - e.g. inequality and racism. Sérgio believes that tackling graft is a prerequisite for the country's equitative development, and he hopes to bring new elements and approaches in order to help increase the effectiveness of Brazil's anti-corruption policies. Caio Velasco is originally from Rio de Janeiro, Brazil. He is a Mechanical Engineer, who graduated in the top 1% of his class at the Federal University of Rio de Janeiro (UFRJ). Notable achievements include: Founder of MePrepara.com.br, a low-cost online learning platform to prepare students for the GRE / GMAT Math exam. Founder of PoliOpenCourse, a free online platform that fosters the sharing of open-source content among UFRJ engineering students. Founder of PreVestibular.org, a free online platform to connect Community Prep Schools with volunteer teachers and low-income prospective college students. Global Pre-MBA Leadership Program at Yale School of Management, sponsored by Goldman Sachs, USA. Change Course Conference at The Club of Rome, Switzerland. Exchange Program in NC State University granted with the CAPES/FIPSE Scholarship, USA. Semifinalist among over 8,000 students in the Inspiring Youth Award at Estudar Foundation, Brazil. Merit-based scholarship to top 10 engineering students: General Electric Foundation Scholar-Leaders Program, Brazil. Caio is passionate about Economics, Education, and Health, and hopes to contribute to public policies formulation in Brazil in the future. Virgínia Vilar Sampaio is from Campina Grande, Brazil. Her previous education include: Medical School - Universidade Federal de Campina Grande, PB; Residency - Fundação Altino Ventura e Hope, Recife, PE; Fellowship - Pediatric Ophthalmology and Strabismus Universidade Federal de São Paulo (UNIFESP); Observer Fellowship - UCLA Jules Stein Eye Institute, Los Angeles, CA. Virginia's research interest are zika and chikungunya. As a resident of Paraiba and having been raised understanding the importance of access to medicine in a developing country, she was inspired to join IPESQ (Instituto de Pesquisa Joaquim Amorim Neto). As a member, she volunteered as an ophthalmologist to examine and care for babies affected by ZIKV. In attempts to understand what makes the population severely affected by this virus, she took part in a multidisciplinary research group. Publications include: (1) Congenital Zika Virus Infection: Beyond Neonatal Microcephaly. (2) Congenital cataract surgery with intraocular lens implantation in microphthalmic eyes: visual outcomes and complications. Her career goals: Emphasis on community based medicine, and provide preventative primary care medicine. For more information on the Jorge Paulo Lemann Scholarship and Fellowship CLICK HERE.